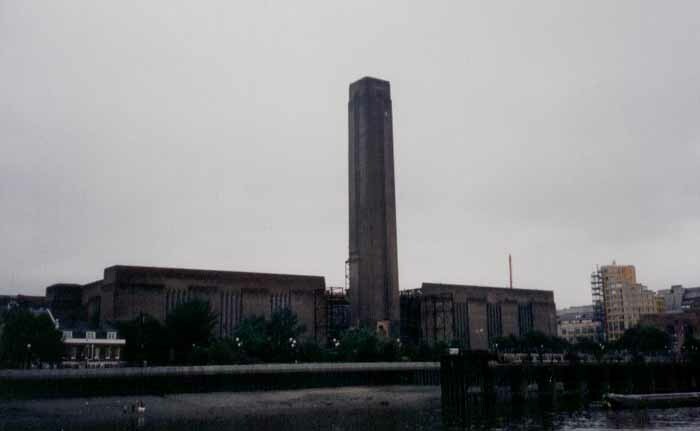 What was Bankside Power Station is now better known as the Tate Modern. The initial building was constructed in 1891, and was owned and operated by City of London Electric Lighting Company Limited. 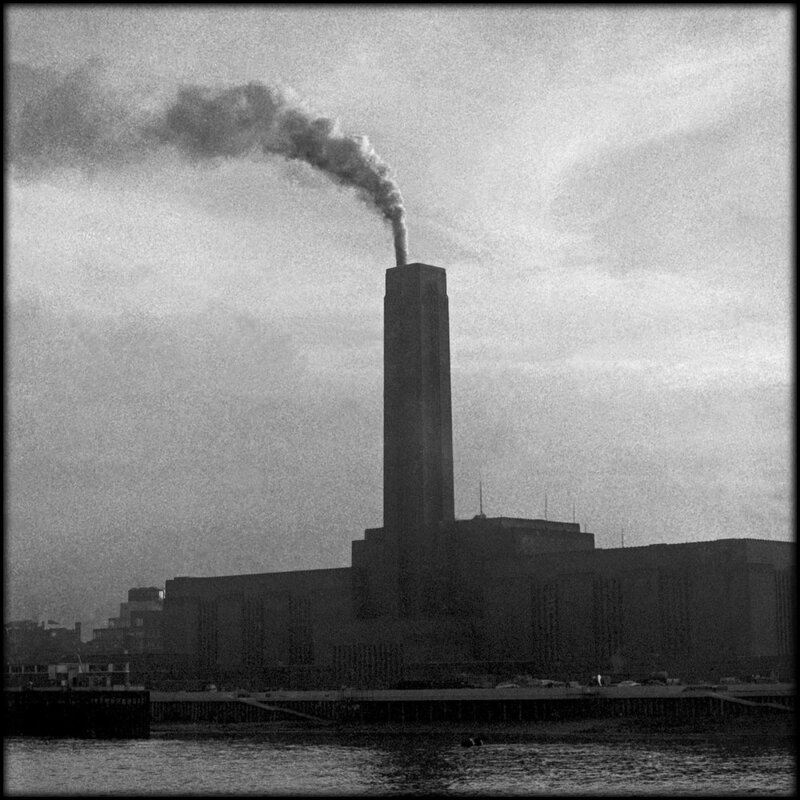 After the nationalisation of the British electric industry in 1948, the decision was made to redevelop the power station and the building now recognised as the Tate Modern was constructed. The new development was designed by Sir Giles Gilbert Scott, who also designed the Liverpool Anglican Cathedral, the red London telephone box, and consulted on Battersea Power Station. Having initially been a coal-fired station, the new development saw it become oil-fired. Rising oil prices during the 70s saw the station become uneconomic, and the decommissioning process began in 1976, finishing in 1981. 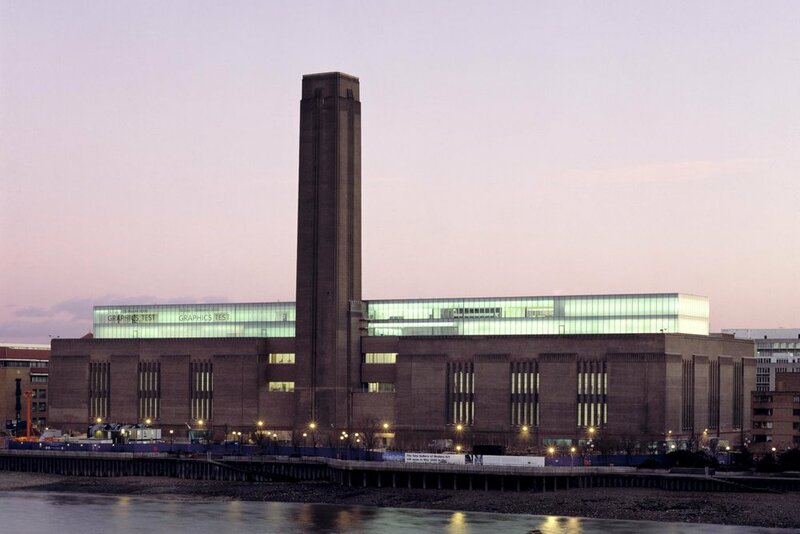 After years of wrangling over the future of the remaining Gilbert Scott building, the Tate Gallery announced in 1994 that the building would become home to the new Tate Modern. The conversion process began in 1995 and finished in 2000, and has been a resounding success since. 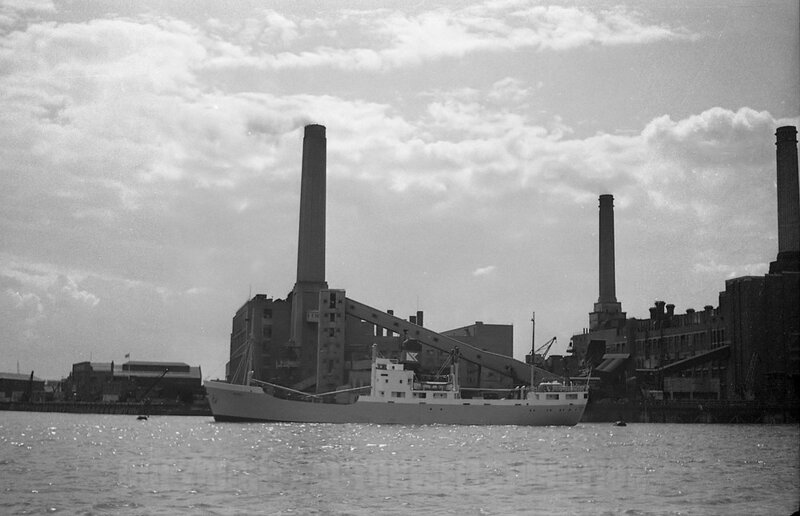 Having featured as the cover art for Pink Floyd's 1977 album Animals (final picture), Battersea Power Station is one of the most iconic structures on the London skyline, and it is such a popular building that it has, until recently, remained derelict and unused since it was decommissioned in 1983. The building of such a large power station was inspired in 1925 by Parliament's wish to reform the power grid into a publicly-owned uniform single system. 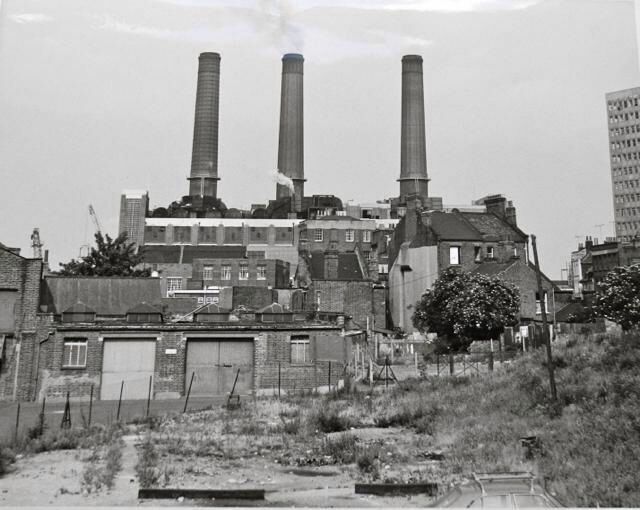 The 15-acre site of the reservoirs of the former Southwark and Vauxhall Waterworks Company in Battersea was chosen, and in the initial phase the proposed power station was met with protests over its size and the pollution it would produce. To resolve these issues the London Power Company very publicly hired Sir Giles Gilbert Scott to consult on the design of the exterior of the station, and agreed that the station would treat its emissions to ensure they were "clean and smokeless". How much say Gilbert Scott had on the design is questionable as, by the time he was hired, Theo Halliday of Halliday & Agate Co. had worked out the vast majority of the design. Initially the station had only two chimneys when A Station opened in 1933, and this became the now iconic four chimneys when a second station (B Station) was added. Though originally coal-firing, they had also become oil-firing by the time the A Station was closed in 1975, and in 1983 the B Station followed suit. From then on there have been long, long discussions as to what to do with the site and, finally in 2012, the site was sold to Malaysian developers who are turning the site into a wonderfully faceless housing complex. Thankfully, these developers have turned out to be as honest as every other set of property developers as, having initially promised to provide over 600 affordable homes, they are now providing only 386 - what a great result. Oh well, at least London has more 'luxury' apartments. Built in 1962, Belvedere Power Station was an oil-burning station, unsurprisingly, in Belvedere. Though when it was built Belvedere was still in Kent, the area became part of South London only three years after the station started operating when the London Borough of Bexley was created in 1965. Operated by the Central Electricity Generating Board, the station was decommissioned in 1981 and was redeveloped as the Isis Reach Industrial Park and the Belvedere Incinerator (final picture). Situated on the east side of the Greenwich Peninsula, which is now home to the O2, the Blackwall Point Power Station was a coal-fired station that first started generating electricity in 1900. Initially owned and operated by the Blackheath and Greenwich Electric Light Co., the original station building was closed in 1947, and a replacement station was opened in 1952. As we all know, it was the first London power station designed to be fired by pulverised coal, and was eventually decommissioned in 1981. The only remaining evidence of its existence is the coal jetty (final picture). 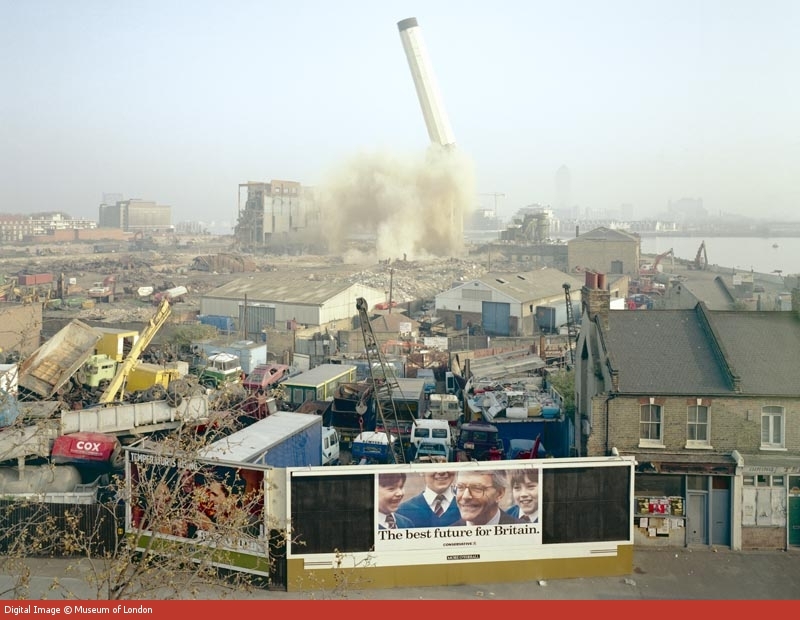 The Croydon Power Stations were a pair of stations in the Purely Way area of Croydon. The first station (Croydon A) was coal-fired and was opened in 1894, while the second station (Croydon B) was also coal-fired and was opened in 1950. Have you ever asked the question as to why there are two huge chimneys next to the IKEA in Croydon? The answer is Croydon B (the first image). Now you know. Next time you hear someone ask the question just shrug your shoulders and say 'Croydon B'. If they ask you what you mean, don't respond - it's their fault for not knowing what Croydon B was and you shouldn't have to waste your time explaining it to them. Croydon B was designed by Robert Atkinson and after being decommissioned in 1984, it featured in Terry Gilliam's 1985 film Brazil, before being demolished in 1991. Though there is no evidence left of Croydon A which was decommissioned in 1973, its cooling towers (the second image) were in some ways more striking than the still-standing chimneys of Croydon B - particularly when you find out that they were made of wood. Many of you might not know this, but the former Deptford Power Station is regarded as the world's first central power station. Designed and engineered by Sebastian de Ferranti, regarded as one of the foremost pioneers of electrical engineering, the initial coal-fired station at Deptford (called Deptford East LP) was absolutely unprecedented in both its scale and high voltage. Built on the on a 3-acre site formerly owned by the East India Company, extra stations were built on the site in both 1929 and 1953. Though the Deptford East LP was the first of its kind, it continued operating until the late 60s when the process of gradually decommissioning the historic station began. This process finished in 1983, and it was eventually redeveloped as luxury apartments in the 90s. The only fossil-fuel burning power station on this list still in use, Greenwich Power Station was opened as a coal-fired power station in 1902. Commissioned by the London County Council, the original intent of the station was to provide a supply for both the London Tram Network and the London Underground. Built in two stages, the first set of chimneys constructed in 1902 were 249 feet high, but were reduced to the same height as the second set of chimneys (180 ft) built in 1910, due to their proximity to the Royal Observatory. It was converted into an oil and gas-fired station during the 60s, and has been the backup power supply for the London Underground since 2002 having previously been the backup to the Lots Road Power Station in Fulham, which was the primary power supply for the London Underground. The role of the Greenwich Power Station as the only remaining power station South of the river, if we exclude incinerators, looks set to continue with TFL recently announcing proposals to install new turbines at the station to meet the growth of the London Underground. Though, like Belvedere Power Station, Kingston Power Station wasn't in London when it first started pumping out power, its site was in what is now The Royal Borough of Kingston upon Thames so we're including it on this list. 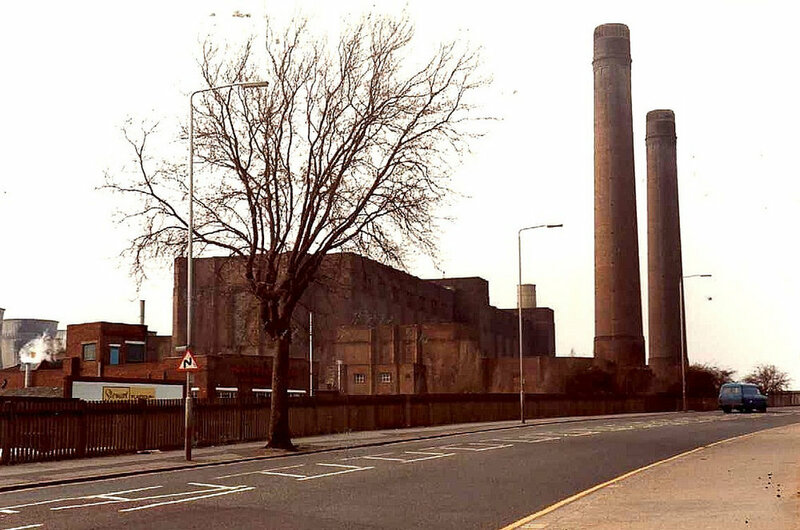 Kingston Power Station A was built in 1893, two years after Deptford, and Station B was added in 1948. Station B was the first new station opened after nationalisation of the power industry, and was officially opened by King George VI - the first time a station had received this honour since Barking in 1924. We would really like to know where George VI ranked it on his 'Top 10 Thing I Officially Opened List'. Though Station A stopped operation in 1959, and Station B was decommissioned in 1980, there were calls to preserve at least some of the building. These calls were ignored however as the station, and it's chimneys, were obliterated in 1994 - an event sadly overshadowed by the release of Apple's first Macintosh computer. We know it's yet to happen, but we're very sure that South East London Combined Heat and Power is about to be featured as album art for a historic groundbreaking album. Located in South Bermondsey, nearby the awful railway station, and unlike the other stations on this list, SELCHP is an energy from waste incineration plant, rather than a fossil-fuel burning plant - though the waste they burn is essentially fossil fuel. Anyway, able to incinerate up to 420,000 tonnes of municipal solid waste per year, SELCHP was set up to deal with increasing issues with landfill in South London. Opened in 1994 by the Prince Chaz, the Prince of Wales and has been functioning since. 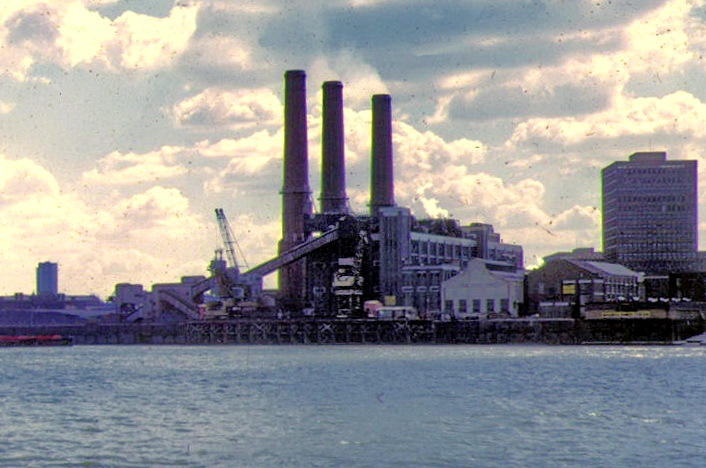 Opened in 1893, a vintage year that also saw the opening of Kingston Power Station and one that everyone in the riotous electric power community agrees was special, Woolwich Power Station was coal-fired power station initially owned and operated by the Woolwich District Electric Lighting Company. From then on construction was a pretty regular occurrence on the 7.5-acre site as it was redeveloped not once, not twice, but three times before the 60s, a redevelopment process that saw the construction of its three pretty massive brick chimneys. When it was decommissioned in 1978, one of those chimneys was dismantled by hand, but then they decided that doing that two more times was going to be an absolute drag, so they just blew the other two up. The site is now occupied by the wonderfully spacious carpark of the Waterfront Leisure Centre.